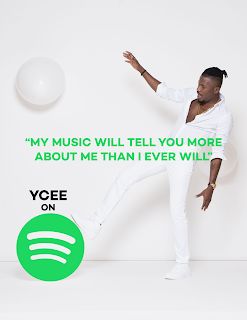 Ycee (popularly called Jagaban) is an African pop artist born and raised in the city of Lagos, Nigeria. Ycee was entwined in music at an early age. He got his first major shot in 2010 when he got signed to Tinny Entertainment as the label’s pioneer artist. His first single ‘Smile on Me’ was released later that year and was followed by two more singles – ‘Pass Me’ and ‘Amen’ featuring Mbryo in 2013. In 2014, he took a break from music to focus on his academics. 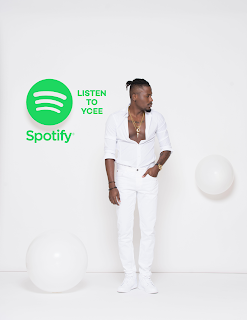 In 2016, Ycee’s debut EP ‘The First Wave’ was released in collaboration with Sony Music Entertainment. He signed an endorsement deal with Tech Company, Samson Telecom as their celebrity ambassador; and also coined an endorsement deal with Cognac brand ‘Hennessy’. In 2017, he released another chart-topping song ‘Juice’ and ‘Don’t Need Bae’ off the EP and got listed on Billboard’s ‘Next Big Sound’.